One of the main causes of the war was the discovery of gold fields and diamond mines. It created a gold rush, the native Boers didn't have the resources or manpower so outsiders came in and their was a possibility that these foreigners would outnumber the native Boer. They were denied any rights or the vote, so the many mainly British workers, were demanding a voice. 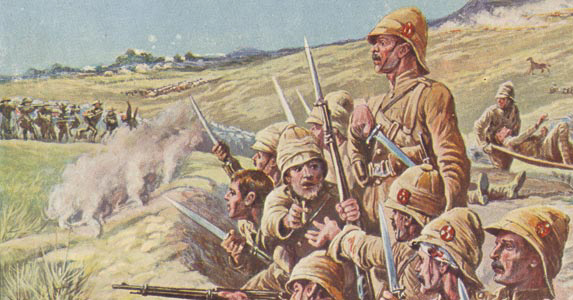 The British decided to try and force the situation by putting troops on the border, the Boers of the orange free state and the Transvaal, said if they were not removed they would declare war on Britain.